Sarah joined Interfaith Action in August 2018. In her position, she builds partnerships with clergy, community leaders, and nonprofit partners. She also is responsible for recruiting and supporting individual volunteers and houses of worship throughout the program year. Prior to Interfaith Action, she served as program manager for Urban Immersion Service Retreats (UISR), a core program of the Greater Minneapolis Council of Churches. She has worked professionally with children, youth and families since 2000, serving in various capacities with Shepherd of the Hills Lutheran Church, St. Peder’s Evangelical Lutheran Church, and Redeemer Lutheran Church. 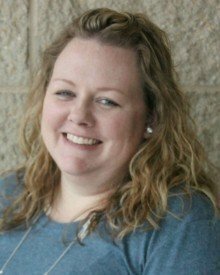 Sarah earned her bachelor’s degree in youth and family ministry from Augsburg College in 2001 and a master’s degree in religious education and leadership from Luther Seminary in 2006.